Yesterday, fairly early in the morning, which, after a rather raucous New Year’s Eve was more like noon, to be honest, I got this rather wonderful text message. “Happy New Year! It’s a new dawn, it’s a new day, hope you’re feelin’ fine . . . wishing you a legendary 2013.” As bleary-eyed as I was, I immediately started humming the bars to “it’s a new day, it’s a new dawn” (or is it the other way round?) and as a result, started 2013 with a tune and a smile on my face. Thank you, lovely Kate – with a start like that, there’s every chance 2013 will be a good one. So what’s ahead this year? First things first: get rid of the extra few pounds that Christmas (somehow) always manages to pile on. January will be abstemious, parsimonious and productive. (Urgh. Look forward to February, then!) An Absolute Deception comes out in paperback and e-book in March, and my newest novel, Little White Lies, comes out in hardback and e-book in June. I’ve been working hard on the one after that, which I still can’t find a title for, and (fingers crossed), it’ll come out next year and finally, I’m hoping to make a start on the one after that, too. This one’s set partly in Zanzibar (which is another good reason to make a start!) so look out for a postcard from The Writer’s Room from a gloriously empty, sandy beach some time this summer! 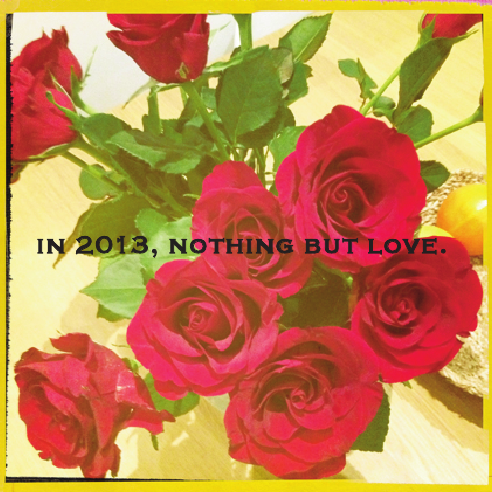 In 2013, then, wishing you nothing but love . . . with touches of health, wealth and happiness thrown in.